Creamy, compact pigment sticks that glide easily onto paper, canvas, and wood, Faber-Castell Gelatos Colors are infused with brilliant color. 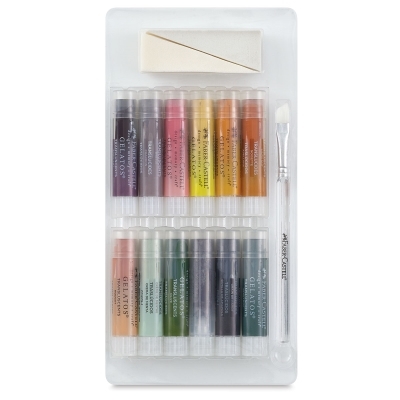 Use them dry or dissolve them with water to create watercolor effects. Choose from a variety of sets. ® Faber-Castell is a registered trademark.® Gelatos are a registered trademark.